Stamp a Blessing: Some people really inspire! So today as I aproached my computer while enjoying a hot oatmeal with pecans and honey I thought "I wont rush". Life is short, times should be memorable, people cherished...let's take time to breathe and give thanks. Il be showing you more this week...promise! Hoy me acerque a mi computadora con un platito de avena con pecans y miel y pense "No me voy a ajorar". La vida es muy corta, los tiempos deben de ser memorables, la gente valorada...tomemos el tiempo para respirar y dar gracias. Les voy a ensenar mas esta semana...promesa! 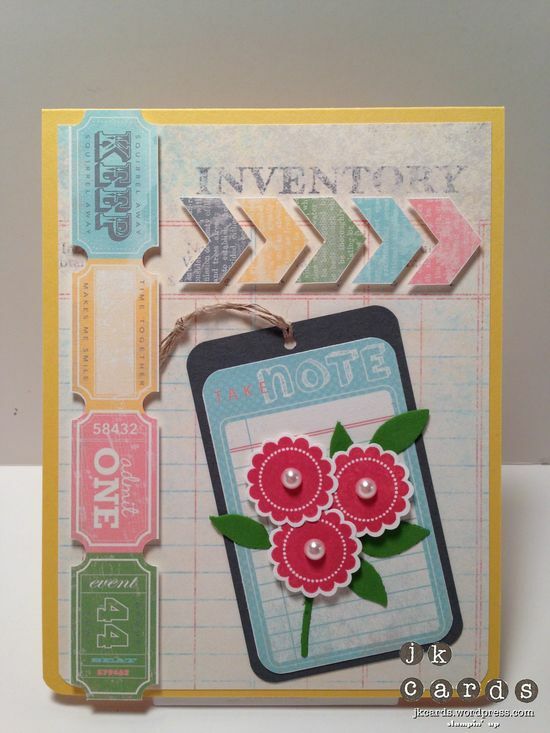 For now let me keep you uptoday with a few things and show you this card I found so interesting by Stampin'Up! Por hoy les quiero compartir algunas cositas que vi y esta tarjeta que halle tan interesante hecha por Stampin'Up! Well is actually a sticker from the This and That suite. How cool is that. 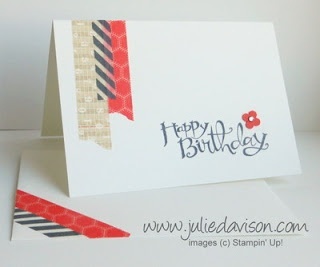 They are also using the washi tape (gray stripes) and cute Designer Series Paper. Oh, my! Bueno, es en realidad unas calcomanias (stickers) de la line Esto y Aquello (This and That). Tambien estan usando el washi tape (gris con rayas) y el papel de disenador. Wao! 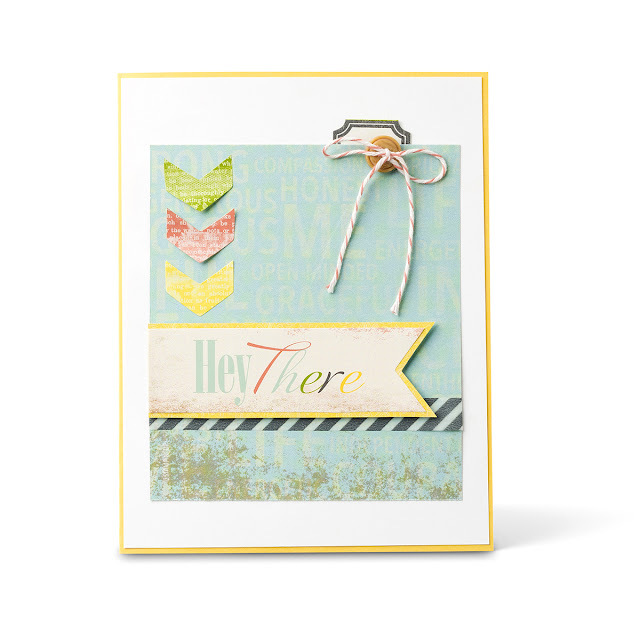 Loving this line already...go to my site and see more HERE! Ya le encanta esta linea de productitos...vaya AQUI y vea mas! Found on Pinterest HERE! Lo encontre en Pinterest AQUI! 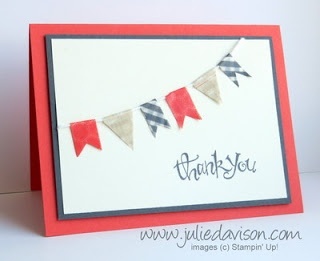 So cool how she used the washi tape for banners. Tan chulo como uso el tape como banderines. Envelopes made with the paper, embellished with stickers and washi tape. Sobres hechos con el papel y decorado con calcomanias y washi tape. So many ideas out there! I just HAD to share a bit with you. Fun, eh! Tantas ideas lindas por el internet TENIA que compartir contigo. Chevere, verdad! 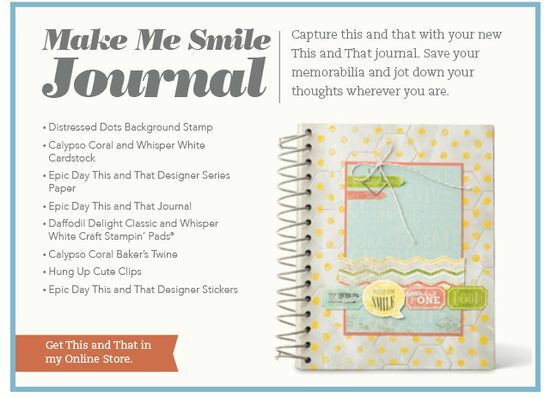 tomorrow will show some cool samples with the My Paper Pumpkin Line....can't wait! manana te enseno unas muestritas de My Paper Pumpkin...que emocion!